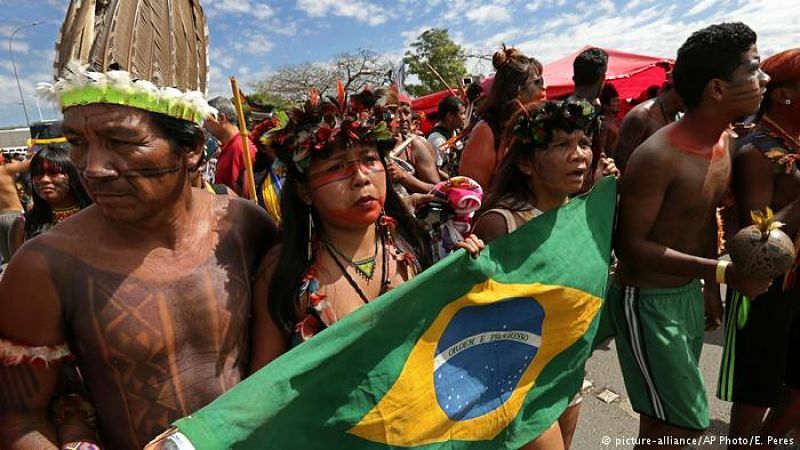 The Brazilian Prosecutor's Office declares unconstitutional the decisions of the Brazilian president that affect the rights and interests of the indigenous population. This entity specifically criticizes the degradation of the National Foundation of the Indian (Fundai) and the transfer of the Ministry of Justice to the Ministry of Agriculture. Servindi, March 13rd, 2019.- In recent months, the policies of harassment of Jair Bolsonaro’s administration against the indigenous population of Brazil have worsened. A recent report by the Brazilian Prosecutor's Office has declared Bolsonaro's policies against indigenous communities unconstitutional. This entity refers specifically to the decision to move the Ministry of Justice to the Ministry of Agriculture. "The indigenist policy instituted by such decrees violates the indigenous constitutional statute and the right of peoples to be previously consulted on any measure that affects them, as provided for in Convention 169 of the International Labor Organization (ILO)," says the document. The Brazilian Prosecutor's Office criticizes that the transfer of the Justice sector to the Ministry of Agriculture will affect the rights of indigenous communities. The Agriculture sector has been characterized in recent decades for defending the rights of rural landowners and affecting the territoriality of indigenous reserves. Another decision of Jair Bolsonaro questioned by the Brazilian Prosecutor's Office was the degradation of the National Indian Foundation (Funai) of the Ministry of Justice to the Ministry of Women, turning this agency into an entity without decision-making power. According to the judicial report, this leaves the Brazilian indigenous peoples in a situation of legal vulnerability. The document of the Brazilian Prosecutor's Office was sent last week to the National Congress of Brazil where they are currently discussing the scope of Jair Bolsonaro’s decisions. According to Attorney General Raquel Dodge, if the unconstitutionality of the Brazilian president's decisions is confirmed, they could be vetoed. The main argument of the Brazilian Prosecutor's Office is that since 2002, Brazil signed and ratified ILO Convention 169, which is constitutional in this country. Due to this, the Federal Government of Brazil is obliged to carry out a prior consultation before each decision that affects the rights and interests of the indigenous population. The request of the Procurator's Office has not only been sent to the Brazilian parliament but also to the Supreme Court of Brazil. The final decision on these Bolsonaro policies will be important because it could define the future of several mining projects that the Brazilian president wants to promote within indigenous territories. El articulo tiene razn al señalar los peligros que representa el gobierno de Bolsonaro para la población indígena (aunque los gobiernos anteriores tampoco dieron tanta protección como debían.) Pero hay errores serios: la FUNAI pasó a depender del 'Ministerio de la Mujer, de la Familia y de los Derechos Humanos' comandado por una Ministra muy cuestionable por decir lo menos. Así que perdió status y sin duda perdió recursos y va a perder más. (Alias la protección de la ecologia está sin jefes regionales: el nuevo Ministro despidió a todos...) Por otra parte el Ministerio de la Justicia no pasó a depender del Ministerio de la Agricultura.